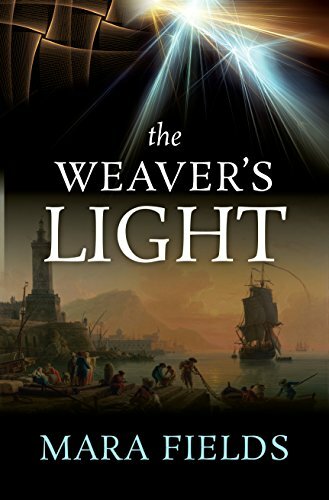 After the death of his wife and child, master weaver, Callan Vellus, falls into an emotional darkness so profound that his life shrinks to the size of a brandy bottle; even his passion for his art cannot pull him back into the world. But when he has a distressing vision of falcon-faced warriors destroying a city and its citizens with blue flame leaping from their bare hands, he is roused from his stupor. Following an inexplicable compulsion, he travels north until he reaches the fire-wracked city of his dream where he finds the destruction is worse than he had imagined. The locals claim that the death and ruin was caused by a freak lightning storm, nothing more, but despite their explanation, Callan cannot shake the feeling his vision was something other than an alcohol-induced hallucination. Pashi is an orphan living in the ravaged city, a girl who has had to learn to be on her own from a young age. With the help of the secret tricks her mother taught her before she disappeared, Pashi not only lives safely in the streets, but survives a direct attack from the falcon mages. Yet she finds herself even more isolated from her classmates and community after the attack, as they have no memory of bizarre warriors blasting the city with unnatural fire. But when Callan and Pashi meet, they soon realize they are the only people who know the truth of the bird-faced sorcerers, and what they plan to unleash on the realm. Scrambling to find clues about the invaders and how to stop them, the two uncover more than they’d bargained for, and the malevolent eyes of the falcon men turn on them. Can two unlikely heroes—a weaver and a child—find a way to escape the falcon mage’s wrath long enough to pull all the pieces together and stop the invasion? Or will the sorcerers’ blue flames reduce their world to ashes? Cassandra's Review- I feel this story could have been told in 100 pages, the added 300 are just fillers. While I see the flow happening, I do not think it was the best pace. I think the author took too much time getting to the points instead of bringing home the action in the chapters. I could have done without half of the actual scene setups. In the end the book was good and the story is going to surely kill time getting through.